Between the Pile Gate and the Franciscan Monastery is the Crkva Sv Spasitelja – Church of the Saviour. It was built in 1520 by the order of the senate in gratitude that the city had been spared from destruction in the earthquake which had hit Dubrovnik at that time. 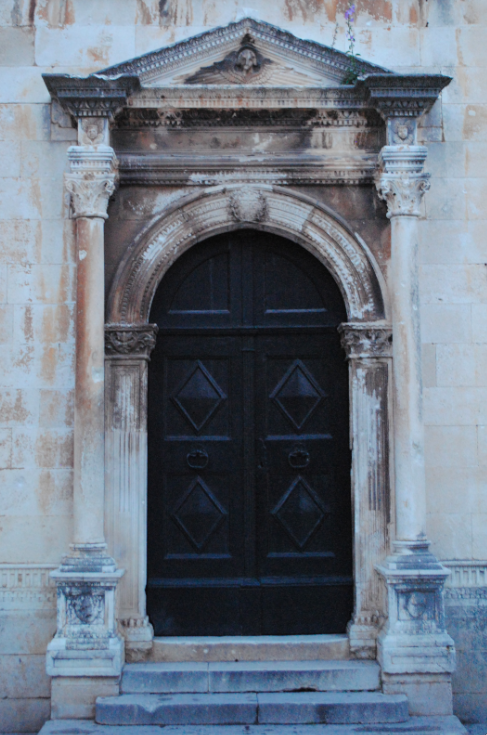 The church was built by the architect Peter Andrijic of Korcula and was completed in 1528. 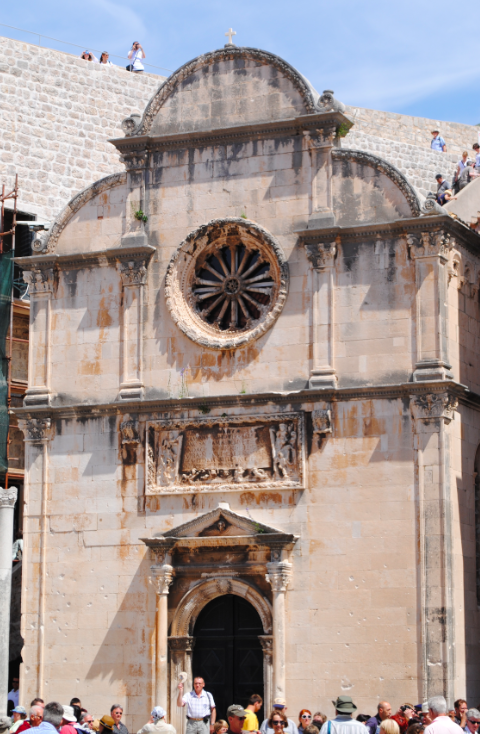 It is preserved in its original form having escaped the earthquake of 1667 and is a fine example of Renaissance architecture in Dubrovnik. This church has a nave with a Gothic cross-ribbed vault and the lateral windows are also Gothic with pointed arches. Above the pedimented entrance is a monumental inscription which testifies to the church being spared in the earthquake. The three leaf semi-circular top indicate its Renaissance design.